Having confident children is a big idea to unpack, and getting there is full of multiple moments and lots of moving parts. As a parent, you don’t always know if you’re on the right path, but there are some touchstones that can help guide the way. Since my oldest child is only 3, I can only see so far into her future, but we seem to be headed in a good direction. We create opportunities to try new things. 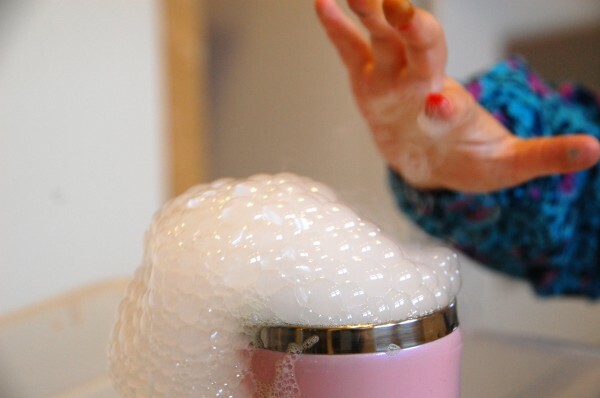 I set up science experiments like this one with dry ice, I encourage her to follow her curiosities (what will happen if I drop rainbow sprinkles in my milk? ), and yesterday she wanted to mix sugar into her water to see what it tasted like. If it’s safe, why not? 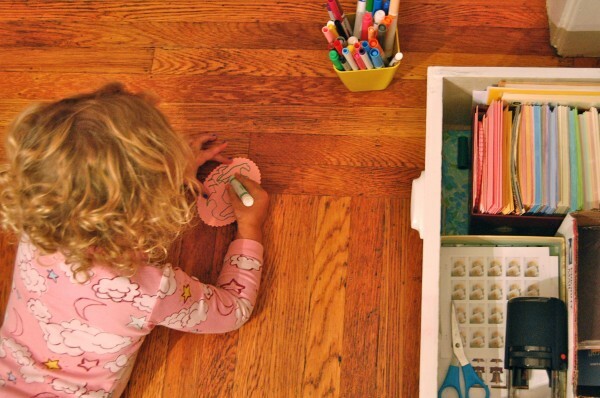 We set up multiple areas of our home where our kids have free access to materials that build creativity. This is our self-serve mail center where she can find envelopes and stamps to mail cards on a whim. We also have a self-serve art cabinet and unlocked kitchen drawers where she has access to kid-friendly knives and cooking tools. The last thing I want to imagine is sending my child off into the world, but I know it’s something that I need to prepare her for. Understanding materials and their properties takes time. This one is about digging deep and spending enough time at something that it becomes second nature. My one year old spends about 15 minutes at this chalkboard each week. 15 minutes isn’t a lot of time, but it becomes a long time when it happens week after week. I rotate the materials that I offer her, and give her time to explore them. One day it might be small chalk, another day it’s sidewalk chalk, and another day it’s water and long paintbrushes. 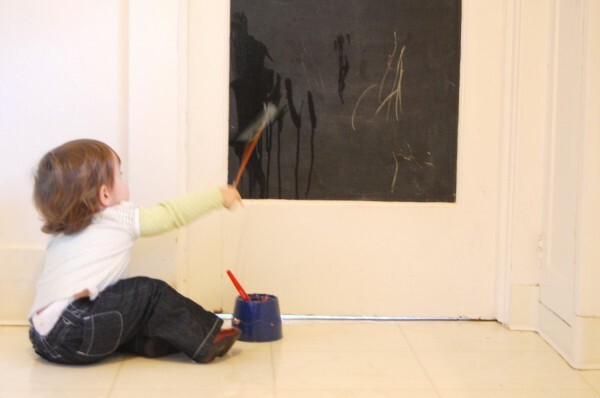 In the long run she begins to understand how a chalkboard is different from a piece of paper or a white wall. Testing things out in various contexts. This one is harder for me to pinpoint, but it centers around the novel combination of materials and ideas. 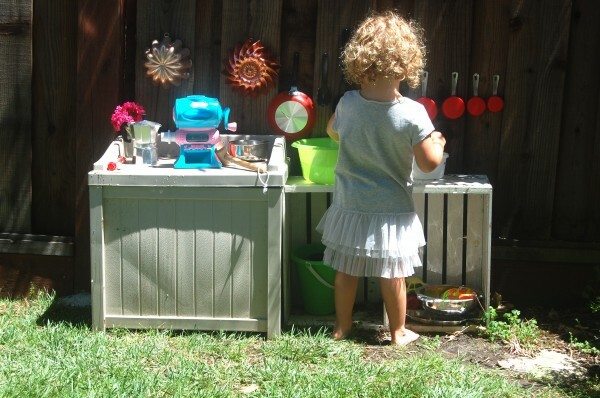 The blue and pink tool that you see in the photo is a stuffed animal maker, but my daughter used it to grind coffee in her mud kitchen. In another example, my friend’s one year old put a bucket on his head and pretended he was football player. Children do this naturally and it’s important to support and encourage this kind of out-of-the-box thinking. Curiosity leads to discovery, and discovery builds confidence. With my daughter watching carefully, I filled about 50 water balloons on this hot day. At some point she declared that she wanted to know how to fill balloons too. While it was tricky to secure the balloon to the hose, she was motivated to figure it out and inevitably found a way to fill them. Discovery! Look and listen for moments of curiosity that can be turned into opportunities for learning and discovery. Interested in more? 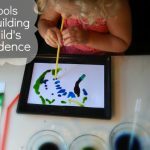 Read about 3 more tools that build a child’s confidence. 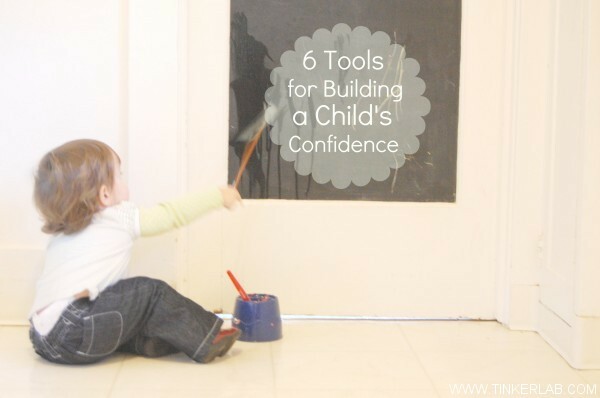 What tools do you think are important for building a child’s confidence? 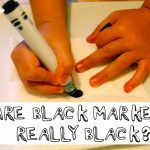 Are Black Markers Really Black? A Chromatography Lesson. Wonderful post! Your children are lucky to have a mother who raises them with trust and respect. I would add, not offering false praise. Let their discovery and creatity be self motivated. Thank you for sharing. This is great, Rachelle. Thanks for sharing these thoughts. 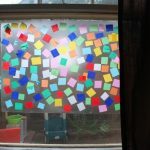 This perspective, which clearly guides you as you share activities, is why I love your blog! Oh, thank you so much, Amy. Every now and then I get the urge to philosophize and I’m glad it’s not falling on deaf ears! This is a great post! When I wrote in C’s baby book before she was born one of the things I hoped that she would have is confidence…to do anything she wanted. I think I had a lack of confidence as a child (being very shy) and realized even more how important it was as an adult. I think having positive adult role models that have confidence in themselves are the most important thing to help children become confident. It’s funny because I think kids naturally have a lot of confidence and it just needs to be encouraged…they are never really afraid of anything. Â I think my daughter has given me more confidence in myself!!! That’s a great point, Melissa. Role models are incredibly important. Children learn so much from observation, and it’s important to remember that we need to walk the talk! That confidence is inherent in children and it’s important that we do our best to keep it alive.Â And you know what, I’ve learned a lot from my kids too! What a wonderful post! Thanks for the inspiration. I just tweeted it fromÂ @Education_com:twitterÂ Â to share with our followers. Thank you so much, Alexandra! 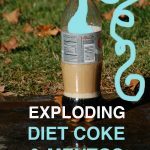 I love education.com, and thrilled that you find this useful to your readers! 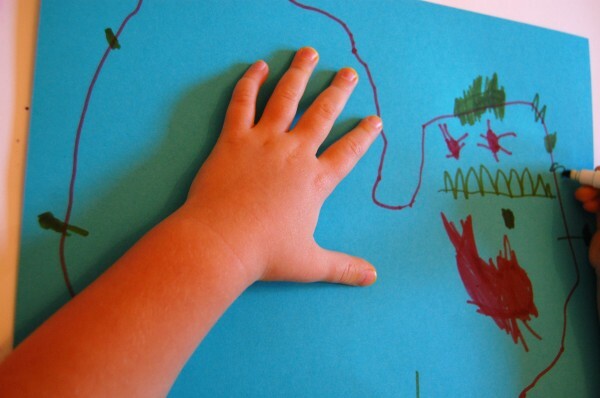 What tools do you think are important for building a childâ€™s confidence? I think confidence is often reflectedÂ in how we make our choices. A confident child not only sees alternatives, but carefully weighs them and usually makes intelligent choices. Â We have many opportunities during the day to observe our children making a multitude of decisions. We have an opportunity to reinforce good decision making, and hence build confidence by letting them know we think they have chosenÂ wisely. You’re such a sweet friend 🙂 Thanks for the love! Do you have any posts with your different play/exploration areas and types of materials you have available? Are you asking about how I’ve set up my space and for a list of the materials that we use? 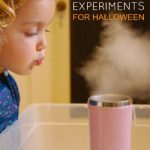 Pictures of my home and the kids’ play spaces are sprinkled throughout my blog, but these post might give you some ideas of how we set things up for experimentation and confidence building (below). Let me know if there’s something specific that you’re looking for and I’ll try to find it for you. This is such a good question, and reminds me that I need to organize my “space photos” into a post or section of the blog document our home for my readers. 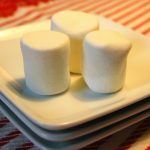 I just stumbled upon this site when searching “how to raise a confident child’. This is a big eye opener for me. I always think I’m doing the best for my son but he lacks confidence many times and gets frustrated with himself when he doesn’t master something the first time around. I see reading this things that I’m missing. Thanks so much for this post. I’m so glad that you found my blog and that this article has given you some ideas. 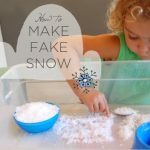 These tips have helped me, but you should also know that my children can be very confident in one context and not so much in others. 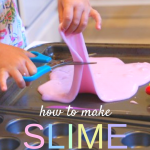 When kids learn new things it can be challenging to move through frustrations with grace. Given the story you shared, one thing that’s helped me is to model stumbling through challenges myself, and then laugh at myself as I “fail” in order to demonstrate for my kids that mistakes are no big deal. They love to laugh at/with me, and it seems to help them see their noble mother stumble over herself…and then recover. think woulԀ reallʏ enjoy yoսr content. Please let me know. about the issue and found most people will go along with your views on thyis website. feeds, so when I have time I will be back to read much more, Please do keep up thhe excellent job.